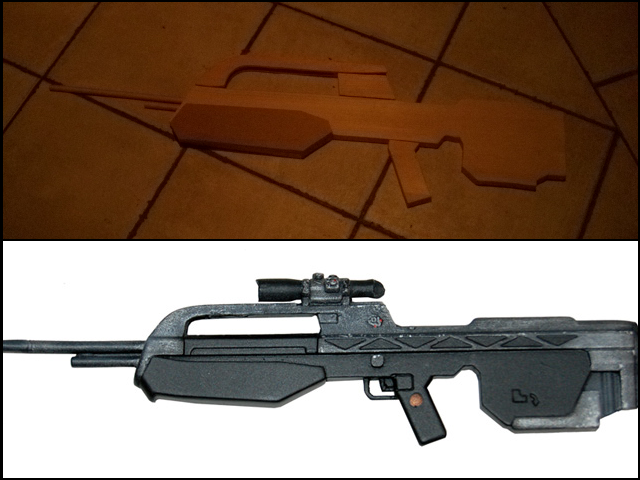 So, last night I had the idea to build my own Halo3 Battlerifle, and this is how far I am so far! 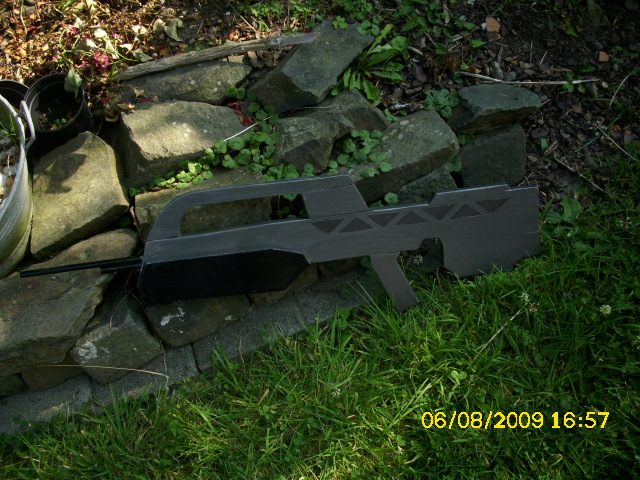 HEHE he has ze idea from me cause i made a Fallout 3 Laserrifle some months ago. BTW i am Kraids Cousin. Yeah, and actually I didn't help him at all. Post another Pic of the Finished Product.